As A Women We All Want A Comfortable & Fitting Bra! I Like A Simple, No Push-Up, No Poky Wires, Just A Nice Supporting Bra! I've Owned Vanity Fair Products Before & They Are Definitely A Brand I Know & Trust! I Was Sent An Advanced Support, Modern Coverage Underwire Bra! It Provides Coverage For Subtle Cleavage, Great Comfort With A Support System Built Into The Pad For Extra Support. I Immediately Noticed A Difference When Wearing My New Modern Coverage Bra, So Comfy, I Slept In It The Other Night Because I Forgot I Had It On! Did I Mention I Love The Smoothing Side Wings, Comfortable Straps & Smooth Fabrication? Available In White, Black Or Neutral It Looks Great In Any Color! 1. Get Measured, Consult A Professional Fitter-You Can Usually Find One Available Where Your Purchase Your Bras. 2. Stay Focused, Once You Know Your Correct Size, Think About What Your Looking For In A Bra. For Example, Do You Want Strapless, Support, Etc. 3. Be Patient, Buying A Bra Takes Time Just Like It Does To Shop For Jeans Or The Perfect Bathing Suit. Feel Free To Try On Different Styles & Brands, Once You Find The Perfect One, Keep The Tag In Your Wallet Or Purse So Next Time You Can Grab A New Color Or Design With Ease! 4. Find Support, Only 10% Of Your Support Should Come From The Shoulder Straps. The Band Of The Bra Should Provide 90% Of The Support, If You Feel Like Your Lacking Support, Try A Bra With A Wider Band. 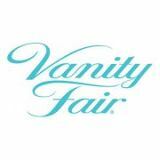 Connect With Vanity Fair On Facebook & You Can Find Vanity Fair Products At Kohls & JcPenny's!